Looking for good ideas for pallets ?, not doubt wood pallets recycling and re purposing options are unlimited, a person just need a creative mind to create the stuffs like furniture, crafts, patio things like vertical gardens, all these stuffs can be easily made out of wood pallets. Garden gives you a great chance to spend your time in a nature friendly outdoor space. There are different natural and unnatural ways to decorate your garden. For instance, colorful plants provide a natural source of decoration. Now a day, pallet vertical gardens are frequently used to grow plants of different types. This is an unnatural source of decoration and frequently used for ornament and food cultivation. You can use pallet wood in creative ways to grow your own food items with the help of different methods in the pallet wood. The pallet planks feature spaces to perfectly house flowers and herbs. These serve as perfect handmade beds for your garden. Pallet is a main item used to make the pallet garden, but it should be carefully constructed, because the use of any chemical can harm both human and plants. Carefully select the size and design of the pallet garden. You can wash it with some soapy solution to make it clean for plants. Carefully select area where you want to place the pallets for cultivation. You can try various arrangements and alignments and place them on the floor in the targeted area. Decide the dimensions of pallets and dig up soil, according to it. This can be easily done with the help of garden digging tools. Place the pallet on the targeted area and carefully fill the soil in the pallet for cultivation. Creating a vertical garden is nice idea, here having a this pallets craft in your garden or your living room, or you can place it at entrance of your home, could create a pleasing look and feel. After creating 1 x 4s of pallets you the divided the pocket holes for different herbs sections. Now put the plants into the sections of pocket holes and place your pallets vertical garden at the any place especially at the entrance of home. I was wondering to have a mailbox, and found a lot of designs on the internet, but all to expensive, the I utilize the pallets ideas to create a mailbox, its very cheap and more attractive to look. Pallets and scrap solves the problem to reuse, recycle, and re purposed to create a mailbox which is matching our barn house. Here is DIY Tutorial of Pallets mailbox. All you need is just a one pallet. A mailbox base 2*10 made with pallets and some scrap. The Pallets Mailbox cutting procedure. Its a raw look of pallets mailbox. Here is final look of pallets and scrap mailbox, looking so cool matching with the environment. 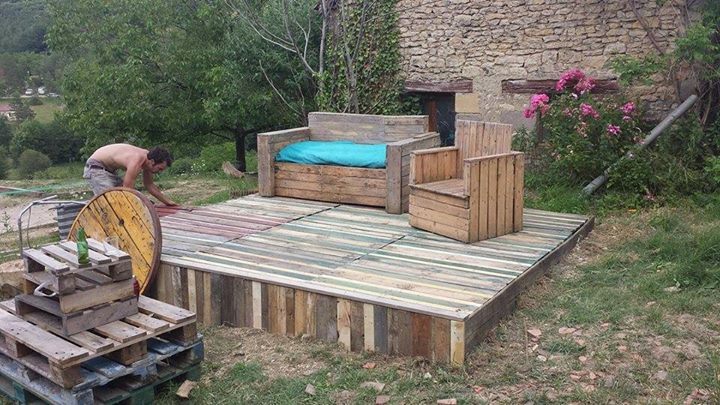 I found a great pallets stage idea on internet, and would like to share, this man done really a great job will pallets, having a pallets stage in garden or backyard is really a handsome patio idea. Creator created nice furniture over the stage, I really like the sofa he created with pallets with pallets table. So having stage like this in your garden can create a great party environment, I also like the stairs he created with pallets. Look and adopt this cute pallets idea. Pallet wood is less expensive as compared to the retail dimensional lumber. You can design small tables and stairs with pallet wood. 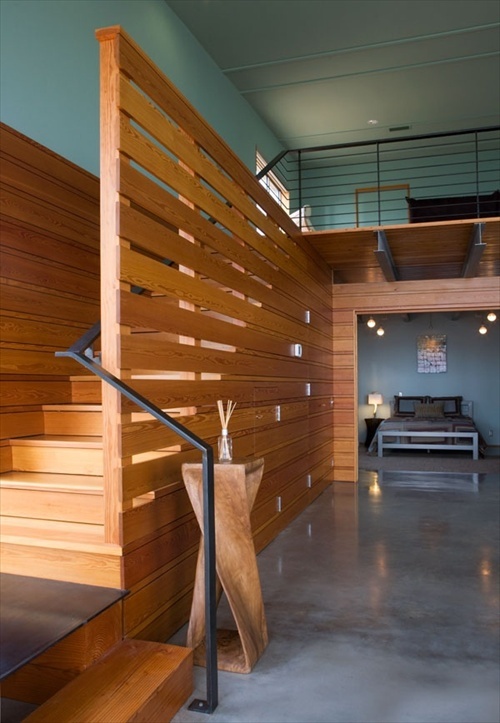 If you want to save a sufficient amount of money in the designing of stairs and tables, use pallet wood that is durable. If you are building something from scratch, it is not important to have fresh retail dimensional lumber, because the scrap pallet can be used for a building project. 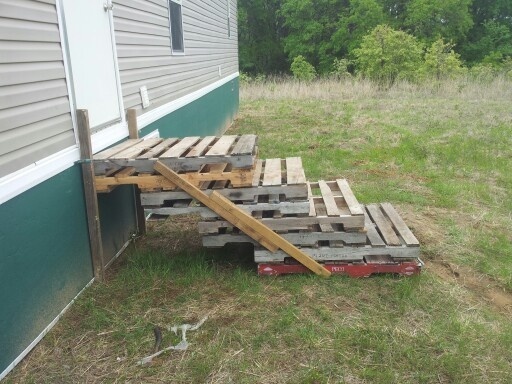 Pallet can be recycled for different projects, such as stairs, small tables, benches, etc. Arrange pallet wood, but be careful while selecting the wood, because it should be free from any gaps, wood-worm and rot. Number and size of the boards will be based on your needs. Sand the pallet wood for smooth surface and calculate the rise and run of the steps to cut the board. It is an interesting option to build a staircase with the wooden pallet. Just put the pallets together in stages to form a durable ladder. You may have to use two beams to construct a durable ladder. It is important to arrange pallet wood, metal beams, nails and other important tools. Decide your own structure and design to have unique and beautiful stairs to compliment the beauty of your house. You can use paint to give a perfect finish to pallet stairs. Pallet wood is a great choice for furniture in your house, because it is easily available and can be used after sanding it. I like to share some creative good ideas of wood pallets, many people made amazing looking and elegant things with wooden pallets. Have a look below and start your next diy pallets project.